Kinark Outdoor Center – KOC operates a three-season facility with a rich history in residential camping, outdoor education, recreational programming, discovery-based learning, and community building. 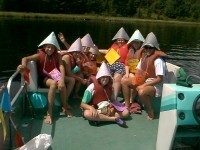 We customize each aspect of the program to meet the specific needs and purpose of your school trip. The cost per student is $78.5/night. We offer a 10% discount when you book with 2 or more classrooms. To request more information contact us. 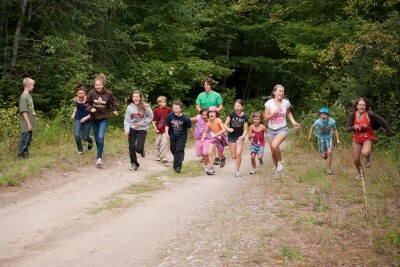 The Kinark Outdoor Center is offering two weeks of day camp in Summer 2015. Fun, safe, environmental… Natural! These are the best ways to describe this amazing day camp opportunity run out of the Sustainable Learning Center at the KOC. Irene Heaven (biologist, mom, environmentalist, educator, and more!) and the team from our partner organization, Out To Learn, will deliver two, 5-day sessions this summer. We are thrilled to be just a few months away from the start of this amazing day camp! 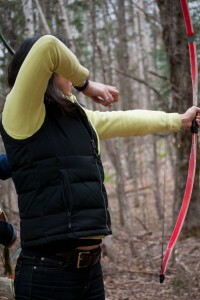 Leadership and teambuilding activities and initiatives are incorporated into many programs at the Kinark Outdoor Center. All staff receive training in group development as well as individual and group growth. 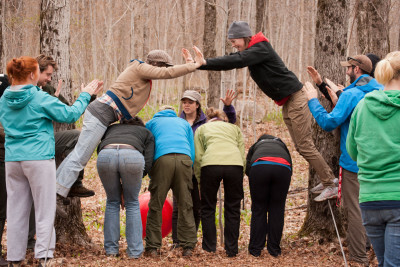 Leadership theory is a foundational cornerstone of outdoor education and an important part of many elementary, high school, college, and university programs. 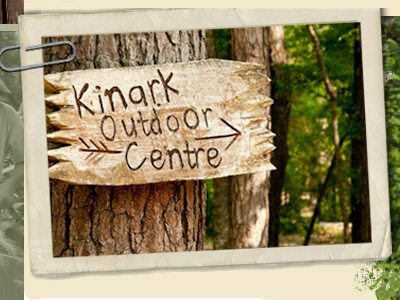 The Kinark Outdoor Center (KOC) provides a rich variety of outdoor education programs and autism support programs tailored to a wide range of needs and interests. 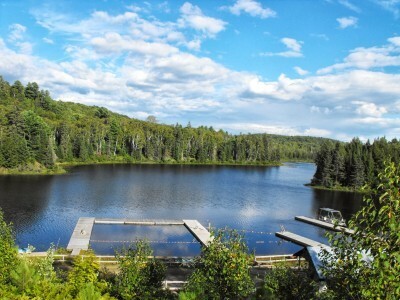 The Kinark Outdoor Center offers a variety of adapted traditional camp experiences and enhanced respite opportunities for children, teens, and young adults on the autism spectrum. 5-day camp opportunities for kids with ASD are customized to meet the campers' needs; Family Respite weekends and Family Camp experiences are well supported to meet the needs of all visitors. There are funded and fee for service programs for children with autism and their families at the Kinark Outdoor Center. Planning for Summer 2016 has begun! Dates and registration will open mid Fall. This is a social recreation weekend for six to eight ASD families who are often on the waiting list to receive service. The program provides a one-to-one worker for the identified child, as well as sibling, and parent programs. Opportunities for respite, networking and social skill development are offered throughout the weekend. The program was developed in direct response to families who greatly appreciated the AFR Weekends, but are now looking for an affordable option for families who did not require one-to-one support. It is a four-day summer recreation program for a group of 15 ASD families. This summer the KOC will be offering a LIT program to support our core autism programs and the communities served through these programs. The LIT program will provide participants with knowledge in how to work with special needs populations, increased leadership capacity, and specific leadership training, and direct experience in planning and executing camp programs and special events.